A smile. 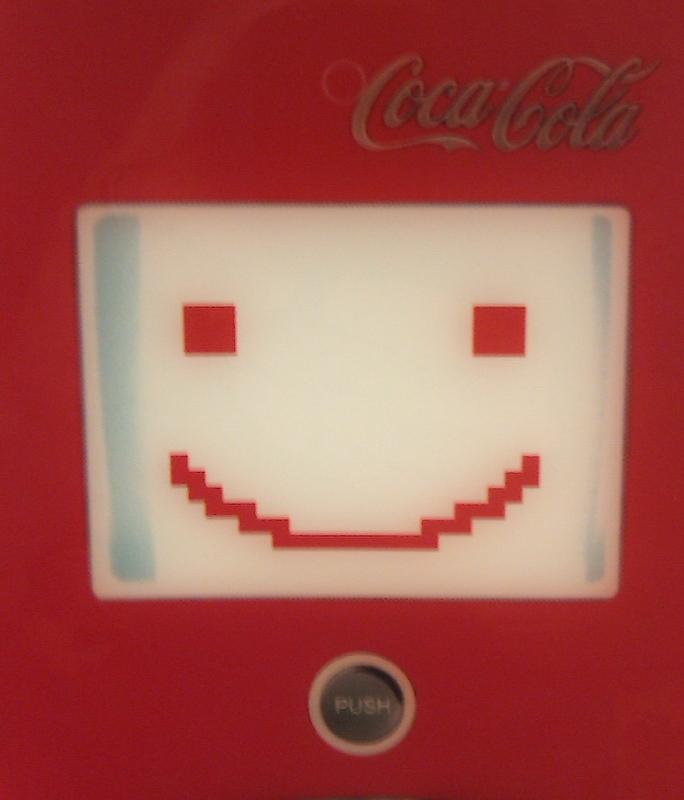 That’s the emotion that Coke brings me. Sure, some of it is the sugar rush, but a lot more of it is how they create brand experiences. I saw another example this weekend of how they (re)create the experience of simply getting a drink. Introducing Coca Cola Freestyle – the (interactive touch) machine that brings you 106 flavors with the simple touch of a button. This is a game changer. Think of how many self-serve beverage dispensers you’ve used. At the most, you’ve got ~10 options, and they’re typically options in drinks, not flavors. Here, this kiosk serves all Coke products and their flavors – a total of 106 different options. Customer (looks amazed while filling his cup): Yeah, it’s awesome. Employee: We just got those in and everyone thinks they’re great. Customer: Makes getting drinks fun. Employee: I know, it’s pretty cool. So, there you go. Coke has now made filling up your drink at the movie theatre fun. This will, no doubt, be something that we see in every movie theatre, restaurant, and convenience store in the future. Gotta hand it to brands like Coke. They see an opportunity to utilize technology outside of the home to fulfill a simple task (utility) and make a meaningful brand experience out of it. And they capitalize on it. This entry was posted in Digital Signage and tagged Coke, Digital Signage, touchscreen on 10/04/2010 by Mike Cearley.